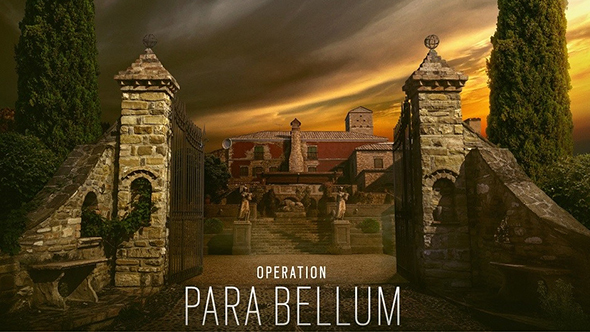 Ubisoft have fully unveiled the new Villa map for Operation Para Bellum at the Rainbow Six Siege Pro League season seven finals in Atlantic City. The map is designed to offer “a competitive showdown”, and the villa is packed with a diverse set of locations to do battle in. With a wine cellar and a tall tower, it’s a multi storey location centered around a densely detailed main building. As with all Siege maps, Villa is highly destructible, but Ubisoft have taken a slightly different approach here. There seems to be an increased focus on blasting through soft floors in order to expose sightlines to floors below, meaning there’s multiple opportunities to engage in vertical firefights as much as classic horizontal ones. Get the full details on everything new in Rainbow Six Siege Para Bellum. The building itself is a two storeys high, and is a densely packed residential villa that belongs to the crime family that Alibi infiltrated as part of her G.I.S operations. Beneath it is a tight, claustrophobic wine cellar. Attached to the main building is a tall, four-storey tower, although it cannot be entered, and so poses little danger of becoming a horrific spawn-peek nightmare. The map is home to four bomb sites, and has been designed for smooth rotation between bomb locations. Ubisoft believe it to be one of the most balanced and competitively viable maps ever; it’s been built with ranked, competition, and Pro League in mind, with the intention of replacing Kafe.